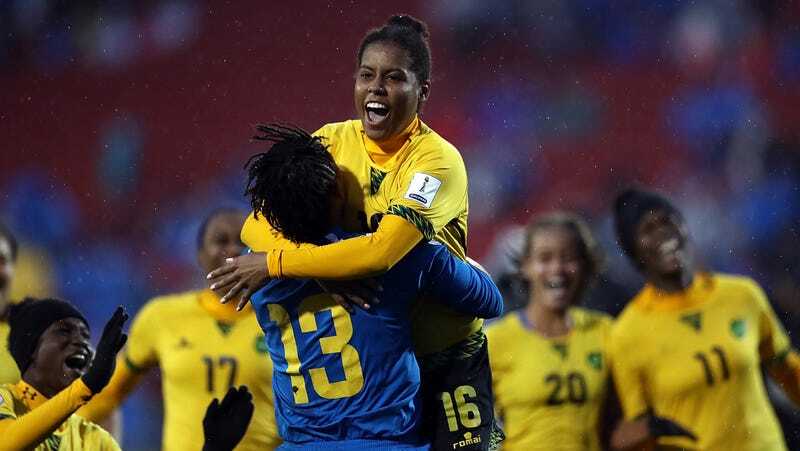 Jamaica’s women’s national team will be going to the World Cup for the first time in the team’s history after beating Panama on penalties in the third-place game at the CONCACAF qualifying tournament. With this win, the team also becomes the first Caribbean nation ever to qualify for the Women’s World Cup. This marathon, back-and-forth win was far from easy for the No. 64-ranked Reggae Girlz, who were up against an equally determined Panama team that was also in the hunt for their first World Cup appearance. Khadija Shaw, a senior forward for the University of Tennessee, opened up the scoring for Jamaica in the first half with an absurdly wide-open header in the middle of the box. But with 16 minutes left in regulation, Panama’s Natalia Mills went on a beautiful run before scoring an equalizer. In extra time, Jamaica once again struck first with a goal from just inside the box by Jody Brown. But again, Panama came right back when Lineth Cedeno took advantage of a Jamaican mistake to chip in a late goal in the 115th minute. 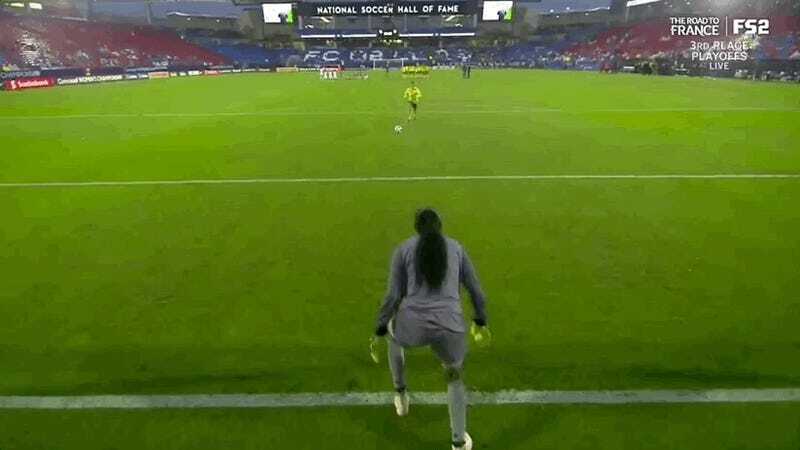 Before the the end of extra time, Jamaica made the bold choice to substitute their 19-year-old starting goalkeeper, Sydney Schneider, for the much more experienced Nicole McClure. The gamble paid off for coach Hue Menzies, as McClure was able to get a pivotal penalty save for her team. The ultimate hero of the game was Sheyla Diaz, who sunk the winning penalty that set off the celebrations. Jamaica will join the United States and Canada, who played in this tournament’s final after this game ended, as the three women’s CONCACAF teams to make it to the 2019 World Cup in France. The players themselves will treasure this moment, but Menzies also believes that the win will cause a cultural shift in the way Jamaicans perceive women athletes and women in general. If that perception becomes reality, the celebrations for Jamaica will only get better.